Copywriting for meetings and events since 1999! 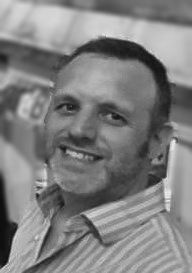 Hello, I’m business events copywriter Richard Jebb and I can perfect the words that tell your customers why your business is the best choice for them. I use creatively and strategically crafted words to make your key sales and branding messages compelling and easy to grasp. I explain here how I use copywriting to grow your business. I write words that work at every stage of your customers’ purchase decision process: informing, inspiring, exciting and selling. The words I write for you will grab attention and influence actions. Read my testimonials to see what some leading industry figures have said about my work. Rest assured I can write and have bags of experience in the business meetings and events industry. I’ve been employed by agencies, I’ve been employed in-house, I’ve been freelance, but here’s the most important part; when you hire me, I’m fully on board with your business. I’m on your side to make sure your words are the best they can be. I’m not precious. I’m not pretentious. But I am passionate. Nothing is too much trouble. I love great creative and I love helping you to create it. My clients are a mix of large international organisations, specialist PR and marketing agencies and small independent businesses. Based in London, my words are used in business events copy across the UK, Europe and the USA. I write copy for destination tourist boards, industry leading exhibitions, venues, hotels, events production companies, conferences and meetings industry trade associations and many more in the sector. I create the content for your marketing, sales, websites, brochures, adverts, public relations, newsletters, blogs, social media and all other media your customers and potential customers read about you or your business. You can rely on me to write great copy for you, no matter what format. Why not contact me today to discuss how I can help your business. There’s no charge for your first consultation. I’m always happy to advise when you have copy and content challenges. If you’re stuck for an idea or need some fresh inspiration, I can usually help very quickly. Give me a call on 07973 676909 to have a chat about the promotion you are producing and we’ll find a solution that’s just right for you. Really, just get in touch and ask – I’m here to help.